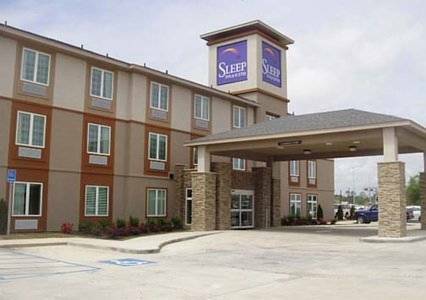 The Sleep Inn and Suites hotel in Gulfport, MS will give you a simply stylish experience. We're located off Highway 49 close to attractions like the beaches of Mississippi Sound, Gulfport-Biloxi International Airport, Gulfport Premium Outlets, Gulf Islands Waterpark, Island View Casino and De Soto National Memorial. Enjoy free breakfast, free WiFi, free weekday newspaper, free parking, a business center, an exercise room and access to copy and fax services. Your guest room offers warm, modern designs, and includes coffee makers, desks, hair dryers, microwaves, refrigerators and tea and coffee. Also, earn rewards including free nights and gift cards with our Choice Privileges Rewards program. No Pets allowed. Bankrolled by an energy tycoon (and a friend of RR's) and given a place of honor by an agreeable Louisiana city council.